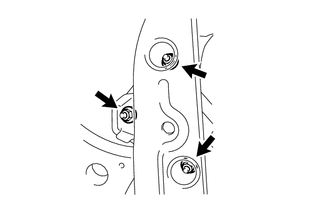 (a) Disengage the 2 wire harness clamps. 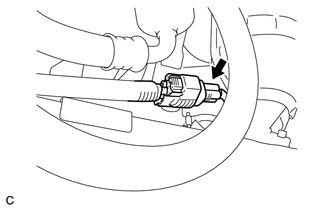 (b) Disconnect the heated oxygen sensor connector. 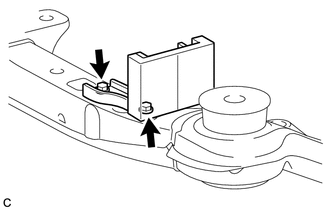 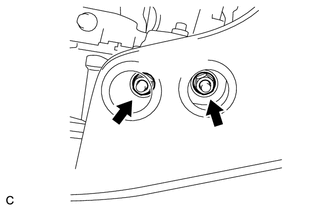 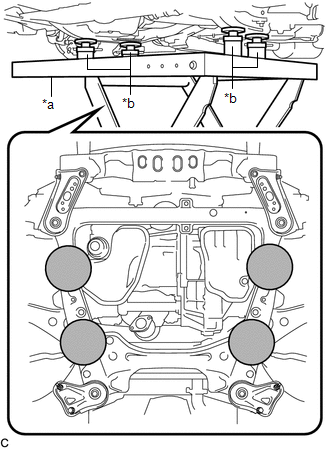 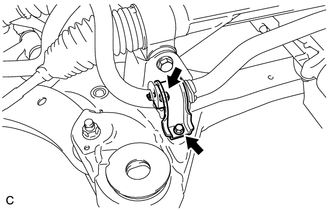 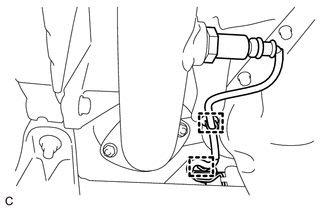 (a) Remove the 3 nuts and separate the front engine mounting insulator assembly from the front frame assembly. 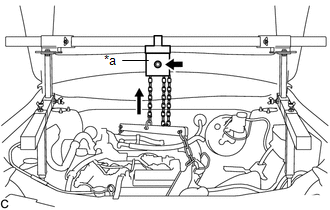 (b) Wind the chain with the chain block assembly to lift the engine with automatic transaxle assembly. 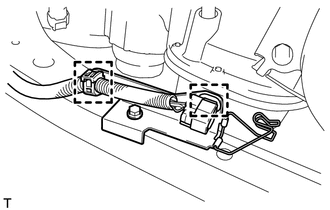 (c) Support the front frame assembly with an engine lifter using 4 attachments or equivalent tools as shown in the illustration. 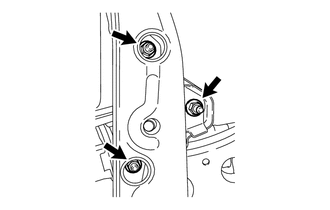 (d) Remove the 4 bolts, 2 nuts, and frame side rail plates RH and LH. 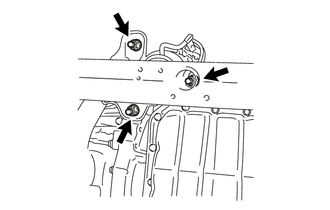 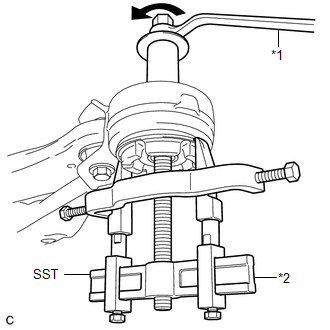 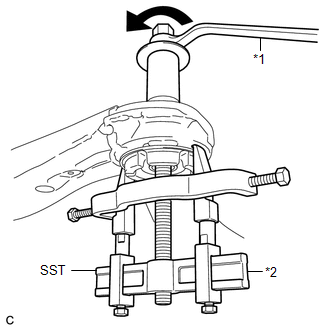 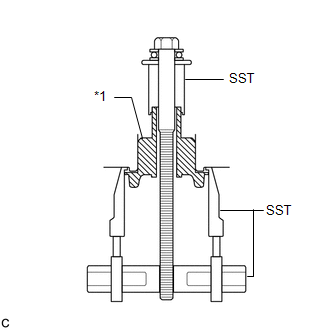 (e) Remove the 4 bolts, 2 nuts, and front suspension member rear braces RH and LH. 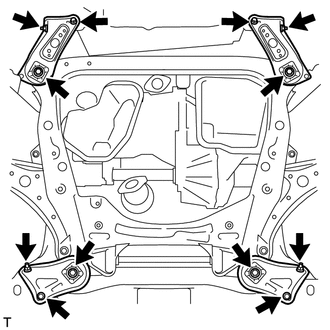 (f) Slowly lower the front frame assembly.